Chloe, 26, came to Hairstory after perusing the internet, stumbling upon our website and finding herself entranced with our cut and color transformations. Having just moved to NYC, she was eager for a confidence-boosting change as she embarked on her journey as a musician and writer in the Big Apple. “I am an art historian, songwriter, and writer, and I want my hairstyle to reflect a New York sophistication that could work on stage or at work,” she explained. During her consultation, the team decided that Chloe’s transformation would be a matter of editing, and so her cut was slightly reshaped by Wes, and colored to a rose-gold blush by Cat. We caught up with Chloe to ask her about her music, her creative influences, and, of course, her hair. Where are you from and what brought you NYC? I'm from Northern California. I'm here for music and adventure. I am a musician by night, and by day I work in a lovely Japanese shop in Soho called Pas de Calais that is inspired by the northernmost region of France. Tell us a little bit about your band. 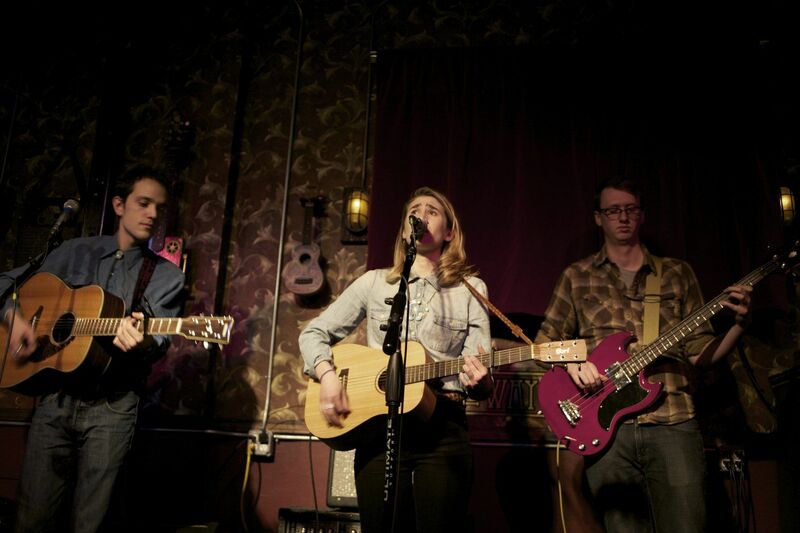 Tanbark is a Country & Americana band with roots in London where I taught myself guitar. I started writing songs as a way to cope with a long-distance relationship spanning the ocean all the way to Minnesota. When I was finally in the same place as my partner, we started co-writing songs, adding harmonies, and fell in love with the golden age of country. When we moved to New York, we added our dear friend Chris Kissel to the lineup on bass, and we try to incorporate pedal steel whenever possible. We recorded an album in Los Angeles and Nashville that we released on cassette tape at the Manhattan Inn in Brooklyn. 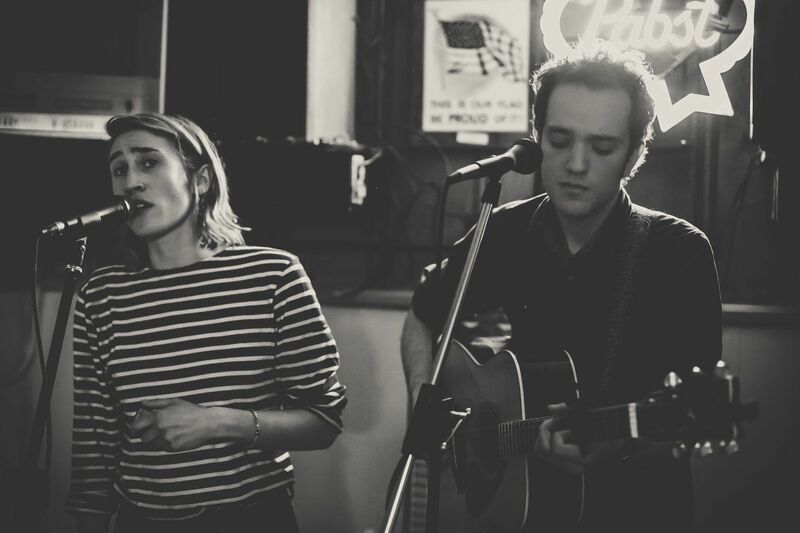 Country-tinged folk, and inadvertently literary. I can’t always write a straight-ahead pop song, and I find that I am drawn more and more to the poetry and catharsis of songwriting. I love putting interesting words in my lyrics, and I truly love country music. When we perform, we embrace tight harmonies and duets. What would you say are your biggest influences creatively? As a feminist art historian, I am always seeking out inspiring women. Sonia Delaunay, Paula Modersohn-Becker, Alice Neel, Niki de Saint Phalle. There are so many wonderfully talented female-fronted bands and artists that I admire as well. I always have loved Fleetwood Mac, Blondie, Kate Bush. Musically, I am inspired by Sandy Denny, Judee Sill, British folk, Dusty Springfield and Karen Dalton, to name a few. I also love going to see live shows around the city. 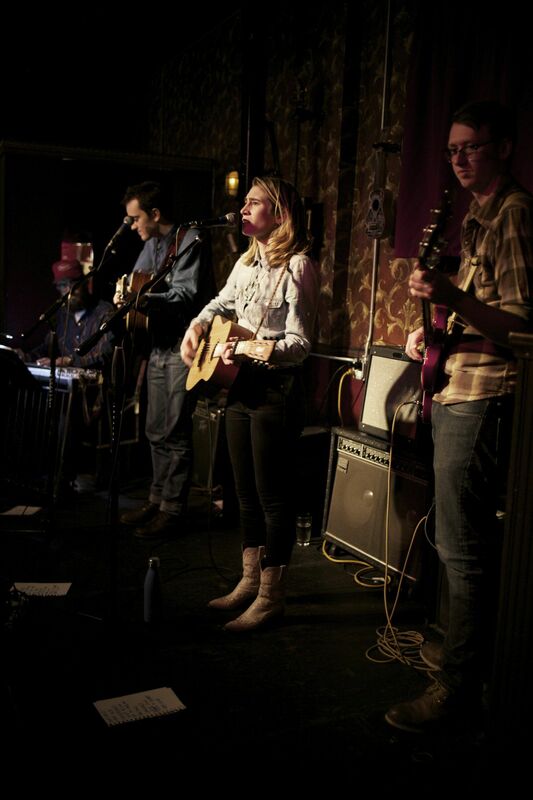 Wednesday nights at Skinny Dennis feature North of Amarillo, one of our favorite female-fronted, outlaw country bands. I am inspired by constantly meeting creative people, whether they are musicians, illustrators, writers, or fashion designers. My life in New York is truly filled with makers. Do you feel that your visual aesthetic is important as a performer? Absolutely! I firmly believe in the importance of a distinct stage presence. I am particularly fond of Willie Nelson’s braids, Françoise Hardy’s bangs, Dolly Parton’s enormous blondness. When you see a show, your eye has to linger on the performers, and that connection will be stronger if they truly catch your eye. I always dress up. I have pink cowboy boots and a collection of floral dresses that fill my closet. Country music has a history of gaudy costumes that enhance and also clash with the heart-wrenching themes, including loneliness, loss, and general sadness. That contrast is beautiful to me. What are some of the musicians you’re currently listening to? How was your experience with Hairstory? Lovely. The space is relaxing and elegant. I felt swept into a brainstorm of hair ideas – colors, shapes, cuts, styles. Each person that I worked with had their own perspective, but was also respectful of my ideas. I feel inspired by my new, thoughtful haircut and gorgeous peachy-strawberry-champagne color. I want to try styling it like Grace Kelly and Kurt Cobain in equal measures. How you feel about your hair now? I feel confident with the cut. It is sleek and has so much natural texture. Best of all, it is growing out beautifully.